So when you meet your best friend after months and wanna re-live the college life memories all over again, you have cappuccino together and then visit a much talked-about Flower show on Sabarmati Riverfront and the soirée rendezvous turns into a photoshoot. AS THIS GREAT YEAR IS MOVING AHEAD TOWARDS THE END, THE PROM COMES NEAR. And the hunt for the perfect prom dress begins. To feel priceless and utterly beautiful and to compliment your beauty, you have to make sure that you have right dress in place. And it can be very tricky to choose a right dress that comes at desirable price. Edressuk.co.uk is one such website that masters the art of creating best prom dresses and promises best quality at best price. The store that puts a stop to utter burning desire to feel beautiful because when you put these dresses on, you already are a princess! They have large variety of cheap prom dresses uk that includes evening dresses uk, prom dresses and wedding dresses. This is your “I am going to prom/I am going to wedding/I am bridesmaid dress” The backless trumpet dress with scoop neck and brush train is beautifully made in woven velvet that assures the comfort. The beauty of this dress lies in the simplicity yet the fell-good and catchy details that the dress itself is. The red frock is sure to impress your date. Short dress made in satin fabric has scoop neck. The appliqué embellishment makes the dress interesting choice for you prom. Its surely your dress if every guy at the prom is asking you for a dance. Don’t be afraid to play up. Be your bold self with this very dramatic ,feathery short dress. The rosy patterned silhouette and the appliqué embellished details on front are worth note. this dress is sure to bring out the inner princess that you have been wanting and waiting to be forever. The dress is made-up in tulle. Styling tip: the right choice of accessories and shoes is utterly important. Given the appliqués/ embellished details of the dress, avoid accessorizing. Wear your highest heels. 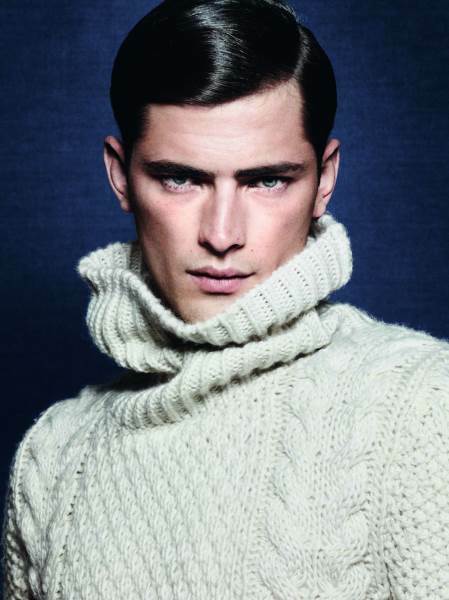 Worlds #1 ranked male model Sean O’pry was born July 5, 1989 in Kennesaw, Georgia. He was discovered at age of 17 when Nolé Marin browsed Sean’s MySpace profile and flipped through the “wannabe’s” pictures in 2006. Picture taken by Bert Hamilton picture featured in an article was the startup of his modeling career. He has been featured in numerous advertising campaigns and magazine stories and covers including Calvin Klein, Giorgio Armani, Versace, Dolce & Gabbana, Ralph Lauren, Gianfranco Ferré, H&M, Armani Jeans, Marc Jacobs, Emporio Armani, Lacoste, Dsquared2, American Eagle, Bottega Veneta, DKNY, Fendi, GQ, Dazed & Confused, V, Details, Barneys, Uniqlo, Bloomingdale’s, Belstaff, D2, Arena, Diesel, Gap, JOOP! And Numéro Homme. He is currently the face of Bottega Veneta and Zara. His runway milestones include opening Versace, Yves Saint Laurent, Givenchy and Salvatore Ferragamo, and closing Moschino, Trussardi and Zegna. Other designers he has walked for include Roberto Cavalli, Louis Vuitton, Chanel, Michael Kors, and Hermès. In November 2011, O’pry was starred in campaign of Viktor & Rolf’s fragrance Spicebomb. He appeared in “Girl Gone Wild” music video by Madonna. His pillowed lips and hooded blue eyes are often talked of. He did his schooling at North Cobb High School. American football, golf and lacrosse are his hobbies. Models.com ranked him #1 in the category of most successful top 50 international male models in Feb 2013. Forbes Publication named him the world’s most successfull made model in 2009. In 2008 he ranked 38 in the list of world’s most successful male model by same magazine. He has been the face of Calvin Klein for several seasons and was awarded Man of the Season by GQ in 2007. He is the guy your girlfriend has crush on.